PRICE REDUCTION! WATER VIEW! Overlooking the harbor in the heart of New Buffalo and a stone's throw from the AMTRAK train station, this 3 bedroom, 3 bathroom penthouse condo features a private balcony, fireplace, reserved parking space, and end unit privacy. Also there is extra interior storage and a shower/whirlpool tub on the second loft floor overlooking the harbor. Freshly painted & brand new carpeting. PLUS SELLER will pay HOA dues for the rest of 2019! If you were ever thinking of buyinga getaway that is convenient to Chicago or Notre Dame Univ, maintenance free, and ON THE WATER, this is your time. 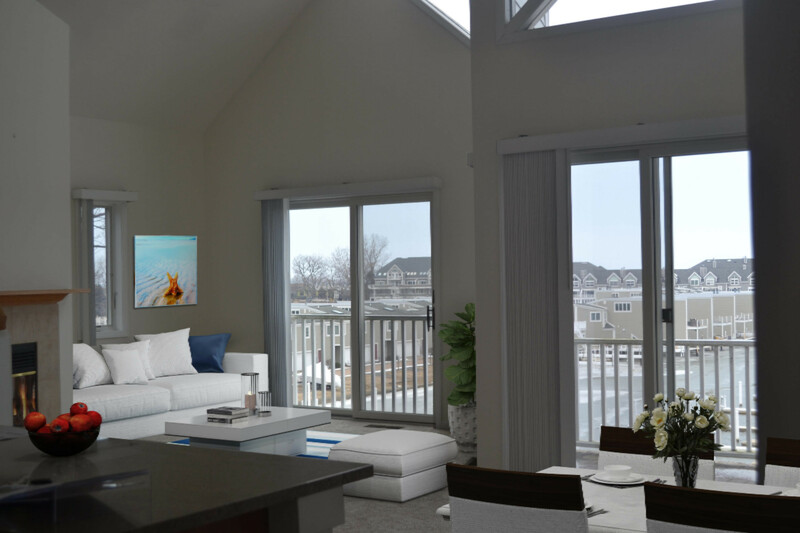 Located within walking distance to downtown New Buffalo and train where year 'round activities await you here in Harbor Country. Hurry to get your best savings on 2019 HOA dues!